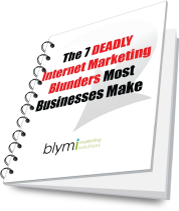 Does Your Business Make These 7 Revenue Killing Mistakes When Marketing Online? What have customers (and your competition) said online about your business? * Enter your company website address and I will also personally create a comprehensive report of your website’s online marketing effectiveness. No obligations, and delivered to you within 5 days. We respect your email privacy and will never rent or share your email address. By enter your email address you agree to receive occasional newsletters plus subscriber exclusive reports and advice. Your subscription is completely secure and you can stop communication from us with a single click at any time.